George Eliot Achieves Healthy Schools Gold Award! 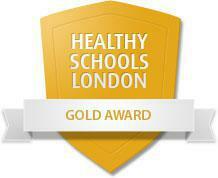 George Eliot Primary School has now successfully achieved our Healthy Schools London Gold Award! decreasing the amount of children that drink more than 1 glass of fizzy drink per day. Additionally, we implemented the MEND (Mind, Exercise, Nutrition, Do It!) programme with the support of MyTime Active which has contributed to our Gold Award. We are continuing to work with MyTime Active this year to help sustain the fantastic work we have done around healthy eating and healthy lifestyles. We are now working towards a second Gold Award with a focus on Mental Health – watch this space!